A group fundraising campaign for Habitat for Humanity of the Roaring Fork Valley. saving them money and enhancing their quality of life. Currently, Habitat rents a total of 51,000-sq.ft. to consider long-term leases at our present rates. 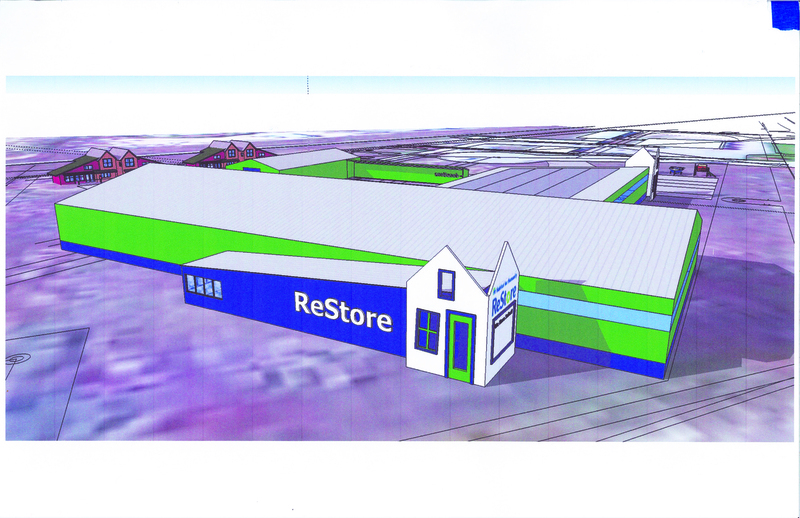 existing ReStore facilities face an uncertain future. than continuing to lease space. that we will be good stewards of the resources entrusted to us. out our mission. Major donors will be recognized on a special permanent Recognition Wall in the new store. We invite your participation in this far-reaching endeavor. of Roaring Fork Valley communities. First 100 community supporters who donate $100 will receive a Home for Our ReStore T-shirt. First 100 community supporters who donate $1,000 will receive a 4"x4" brick with recognition of your donation on the walkway into the ReStore. First 100 community supporters who donate $2,500 will receive a 12"x12" brick with recognition of your donation on the walkway into the ReStore.